With your help we were able to serve over 700 Zuni kids in 2018, a record high for ZYEP! We have been able to expand the size of our youth basketball, flag football, travel soccer, and summer camp programs to include more children, across multiple ages. Our resiliency based youth development programming does more than keep kids active; our youth participants report feeling healthier and greater psychological well-being as a result of participating in ZYEP programs. As we enter into a new year and begin a second decade of working to improve the lives of Zuni kids, we will strive to serve even more youth in 2019 and beyond. Support from partners like you is what makes this all possible. 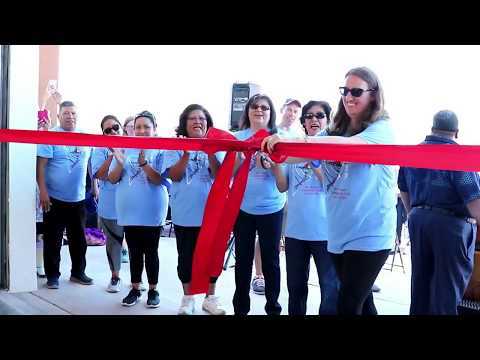 This is an exciting time for our organization with the opening of our Ho’n A:wan (Zuni for "Belonging to All of Us") Community Park. ZYEP finally has space to engage Zuni youth and their families in activities that we hope will inspire good health and happy memories. This year, your contributions will play an important role in helping us make the most of our new park space and the opportunities it presents to bring kids and families together in healthly activities. $300: 1 kid for an entire summer. $1,500: 5 kids for entire summer. $3,000: 10 kids to camp for an entire summer. $100: 1 kid to participate in a sport season. $1,000: A team of 10 youth to play an entire season. $5,000: Five teams (50 Zuni youth) for an entire season. $100: Sponsor 1 Zuni artist to attend a professional development workshop. $2500: Commission a Zuni artist to create a large scale mural to be hung in Ho'n A:wan Park. $10,000: Commission a Zuni artist to create a large scale statue or sculpture to be displayed in Ho'n A:wan Park. $1,000: 140 Zuni summer campers to plant and water 10 beds for a season. $10,000: Support the construction of a small hoop house with 10 raised beds at the new Ho'n A:wan Community Garden space. $5,000: Gifts pay for a new trail path in Zuni. $20,000: Pays for paving of the new trail around the perimeter of Ho'n A:wan Community Park!